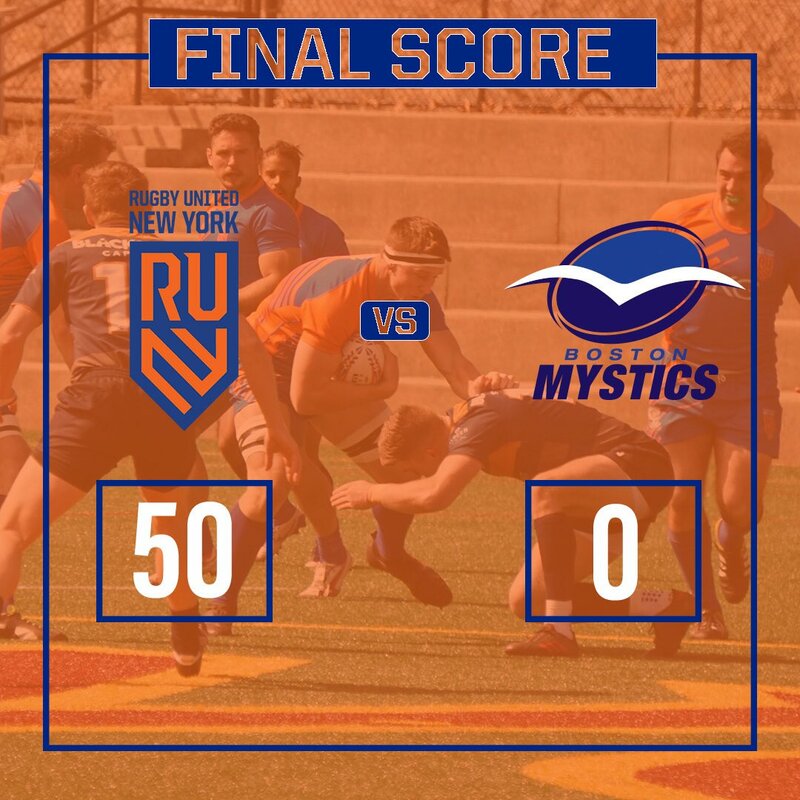 Rugby United New York had a successful debut home match both on and off the pitch on Saturday with a 50-0 win over Mystic River. Additionally, the club sold out the roughly 2000 seats at Gaelic Park, a great sign for the future viability of the team (tickets weren't cheap at $30 a pop either). New York led 29-0 at halftime. The win for New York follows on the heels of their win over the Ontario Arrows last weekend. Mystic River will have a chance for a rematch next weekend as sthey host New York. Rugby United then pay a visit to the Ontario arrows in April. Both teams had a number of players recognizable to most fans. Dylan Fawsitt, Nate Brakeley, Luke Hume, and Connor Wallace-Sims all turned out for New York. Mystic River had 7s stalwarts like Jon Kokinda, Jared Collinson, Aki Raymond, and Vini Daley. In addition, Mystic River has been adding to their roster with a couple of Auckland Academy forwards in Leopino Maupese and Michael Kaielata. They have also added players from France and Argentina.